If Oprah can use her own name at a Starbucks (even if she has to spell it), shouldn’t anyone be able to? 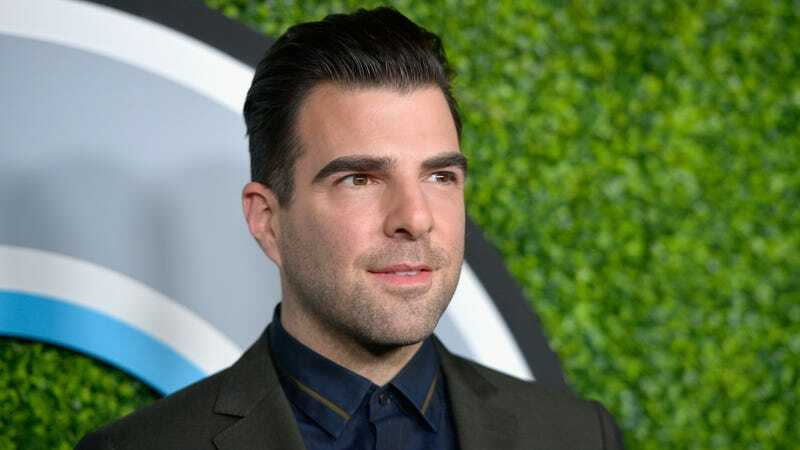 Apparently not privacy-craving Star Trek and Heroes star Zachary Quinto, who tried to remain incognito recently while ordering coffee on campus at the University Of Michigan in Ann Arbor. Hey, it looks like he’s reading The Goldfinch! Quinto told Corden he is now “sorry about” the fact that he used a fake name, and explained that sometimes he gets “nervous and self-conscious” off by himself. And that people often call him “Josh” accidentally anyway. But if you’re going to use a fake name, Zachary Quinto, may we suggest that you try for something more humorous and less lame than “Josh”? How about… “Skylar”?